It’s the time again ladies and germs. Time to check in and see how I did on my resolutions for the year. The shortest month of the year has felt very long indeed. To be honest, I really didn’t spend much time thinking about resolutions. We were so super busy that I pretty much just did what I had to do and called it good enough. However, much of these have sort of been ingrained in my head already so I was able to check a few off without too much hassle. Here are the items that we had success in. 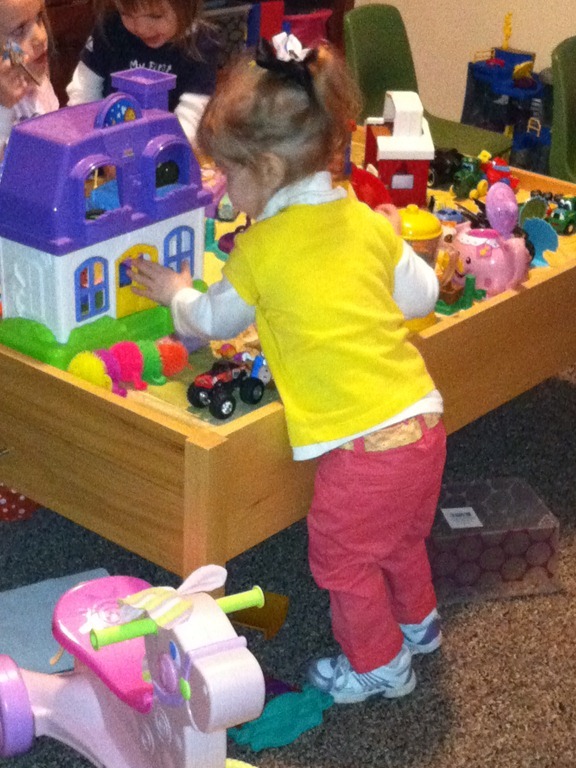 We went to a Super Bowl party and Isabella had lots of fun there. She was also a big hit during the halftime show. We had friends over to celebrate Valentine’s day, which was also super fun. We went to the Polar Plunge, which was quite the experience for all of us! We were also invited to a neighbor’s birthday party, which was great. The more we can expose Isabella to other kids, the better. She’s getting better at playing WITH other children rather than just playing NEAR them. 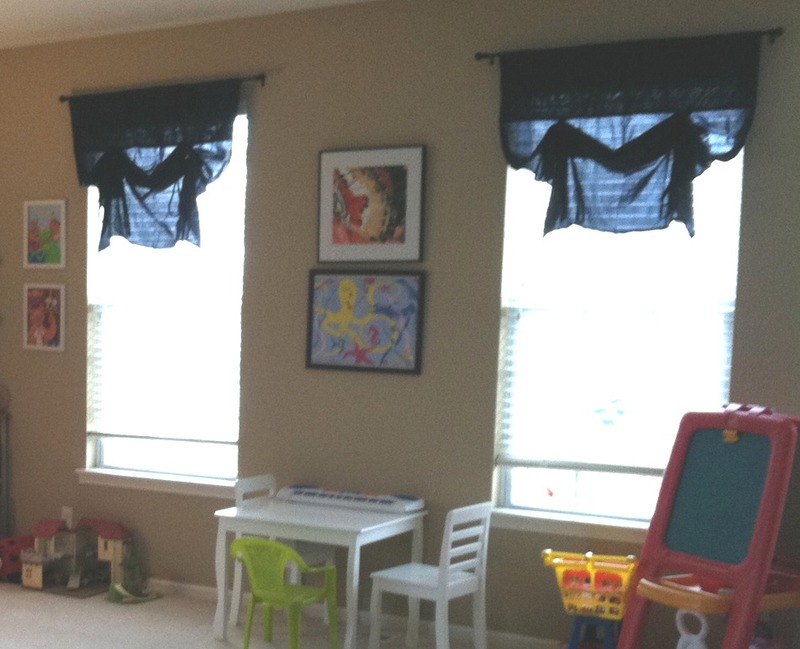 Got some valances hung up in the playroom, which was a huge win. Next room on the list: the master bedroom. At this rate, doing one room a month, we’ll be done by the end of summer! Big win! I participated in a blogging challenge that spurred me on to getting this room in tip-top shape! I’m super pleased with the results! We’ve started talking about what we want and I’ve been scouring Pinterest for ideas. Does that count? We haven’t made the transition but she seems to be more and more ready. She’s taken to climbing up on our bed and laying under the covers, pretending to sleep. She always climbed up before but mostly to jump around and be silly, never to actually rest. I was *this close* to letting her take a nap in our bed one day but it didn’t end up happening. As a matter of fact, yes! I have to give CJ all the credit on this one. He wrote down all the pre-schools and Montessori’s in our area and called them one afternoon. We still need to schedule visits and what not but this was a great start. Go Ceige! Done! I attended an event all about the planning of the Omaha Marathon and it was really interesting. I work in technology so any time I can hear about projects in other industries it’s fascinating to me. All the details that have to be ironed out are mind-boggling. Not so great. I did initially set money aside in savings but then due to an accounting error on my part (I wrote in the ledger that we had deposited money but I forgot to actually do it), needed to grab it back to offset overdraft charges. I was so mad at myself for that. I did pay off a chunk of the credit card so I guess that’s the silver lining. I’ve been about 50/50 with this one when it comes to formally sitting down and talking with the Big Man. I do however have random talks with him throughout the day so I should give myself more credit. Thanks to an app on my phone, it was pretty easy to do this one. I made myself stop and read every morning when I got back from the gym. It only takes a minute and helps start my day off right! Oh and I’ve continued my January goal of eating one fruit/veggie at every meal. It’s truly become a habit now! 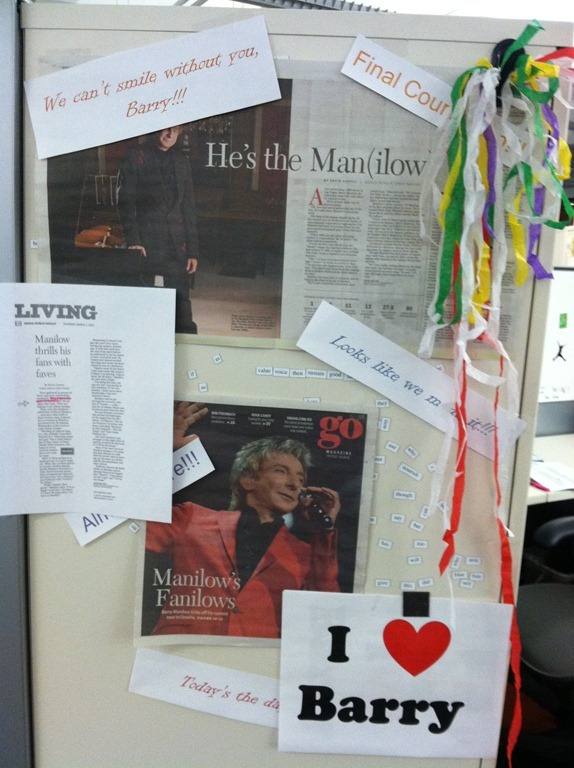 I have 3 words for you – Barry freakin’ Manilow! Super bowl party, girl’s night out with some gal pals from work to watch “The Help”, and Barry! And these are the resolutions that we didn’t do anything on. 5. Date night once a month – we had 2 date nights planned but one we canceled due to crappy weather and one turned out to be a girl’s thing (not couples like I originally thought). However, we have one on the calendar for March that will go on no matter what! In addition to the above, there were a couple bonuses this month. For one, I found a new doctor (my previous GP had moved on to bigger and better things) and went in for a physical (I’m healthy as a horse)! I had been putting off getting a physical for years (though I do go to my OB yearly). After that I decided it was time to get back to taking a daily multi-vitamin and added fish oil supplements to the routine (given my family history of heart disease). Re-adopting these healthy habits feels great! I also cleaned out our kitchen cabinet with mixed up dishes in it and added in a new set of china. 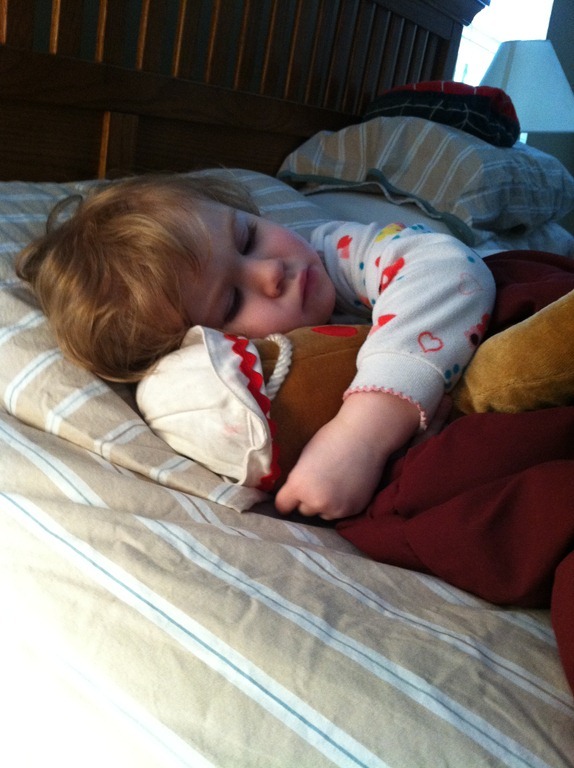 AND we overcame Isabella’s bedtime nonsense of fighting us when it came time to go to sleep. The Sleep Fairy + tough love = success!